Media Release ­— For the second year in a row, the Small Press Expo (SPX) is proud to announce it is a sponsor of the National Book Festival, presented by the Library of Congress. As a part of this sponsorship, SPX is bringing Gene Luen Yang, Liza Donnelly and Bryan Lee O’Malley to the National Book Festival. 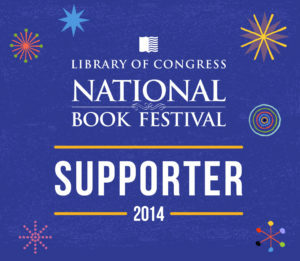 Gene was selected to be the first graphic novelist to be one of four authors to give a presentation at the gala event for the National Book Festival, whose attendees include National Book Festival authors, members of Congress, the Librarian of Congress Dr.James Billington, as well as other Library of Congress senior staff. Author and cartoonist Liza Donnelly is best known for her cartoons in The New Yorker, but her work has been featured in several notable publications, such as The New York Times, The Harvard Business Review and The Nation, Forbes.com and Women’s Enews. In her newest book, “Women on Men,” a collection of cartoons and writing, she uses wit and sly humor to depict the changing relations of women and men in these modern times. Award-winning cartoonist, writer and artist Bryan Lee O’Malley is best known for his best-selling, six-book Scott Pilgrim series which was adapted into the major motion picture “Scott Pilgrim vs. the World” in 2010. O’Malley has received many accolades including the Doug Wright, Harvey, Joe Shuster and Eisner awards. In his latest graphic novel, “Seconds,” O’Malley tells the story of Katie and her magical mushrooms, a tale of existential angst, everyday obstacles, young love and ancient spirits. The National Book Festival takes place Saturday, August 30, at the Walter E. Washington Convention Center, Washington, D.C.
Gene Luen Yang will be at the Teen pavilion, signing books from 3:30- 4:30PM and presenting from 4:40-5:10PM. Bryan Lee O’Malley will be presenting at the Graphic Novel, Science Fiction and Fantasy pavilion from 6:45-7:20 PM and signing books from 8:00-9:00PM. Liza Donnelly will be presenting at the Graphic Novel, Science Fiction and Fantasy pavilion from 8:15-8:50 PM and signing books from 9:00-10:00PM. SPX also supports the Small Press Expo Collection at the Library of Congress, which preserves the history of both the artistic output of the creators who come to SPX, as well as the art that SPX itself generates as part of its yearly festival. It the first program of its type by a major institution in the United States to preserve the works of the indie comics community. Small Press Expo (SPX) is the preeminent showcase for the exhibition of independent comics, graphic novels, and alternative political cartoons. SPX is a registered 501(c)3 nonprofit that brings together more than 600 artists and publishers to meet their readers, booksellers, and distributors each year. Graphic novels, mini comics, and alternative comics will all be on display and for sale by their authors and illustrators. The expo includes a series of panel discussions and interviews with this year’s guests.